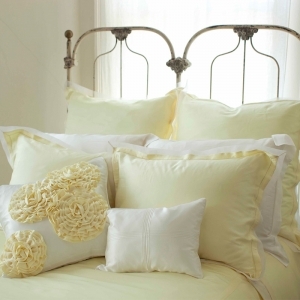 To our traditional silk charmeuse duvet cover, we added a luxurious organza trim along the border creating this elegant offering, the kumi kookoon organza silk duvet. 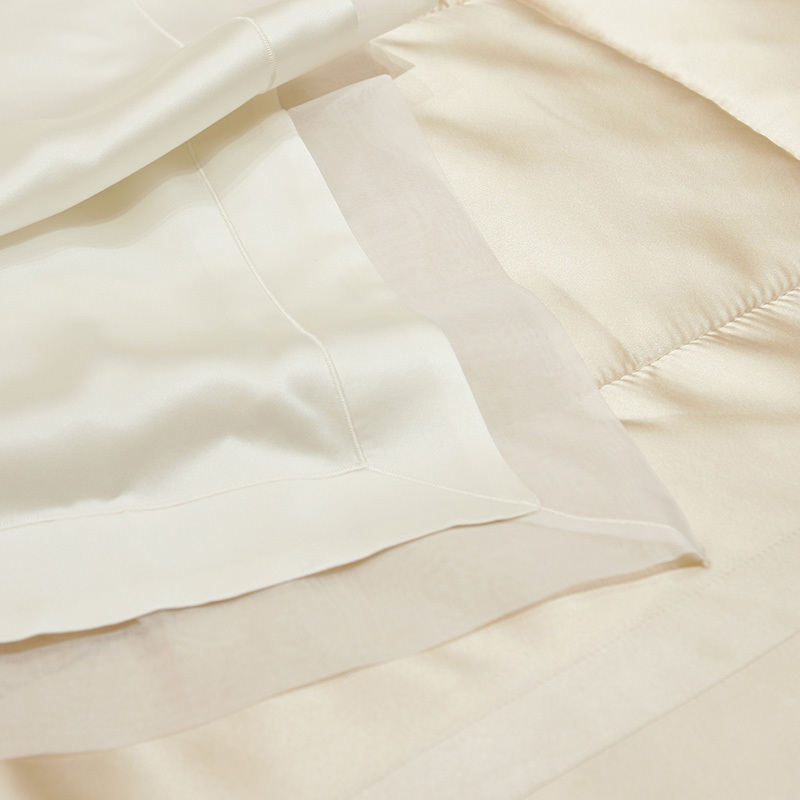 The finely-milled silk organza is also used on the topside flap and buttons to create a textured contrast against the sleek silk charmeuse. 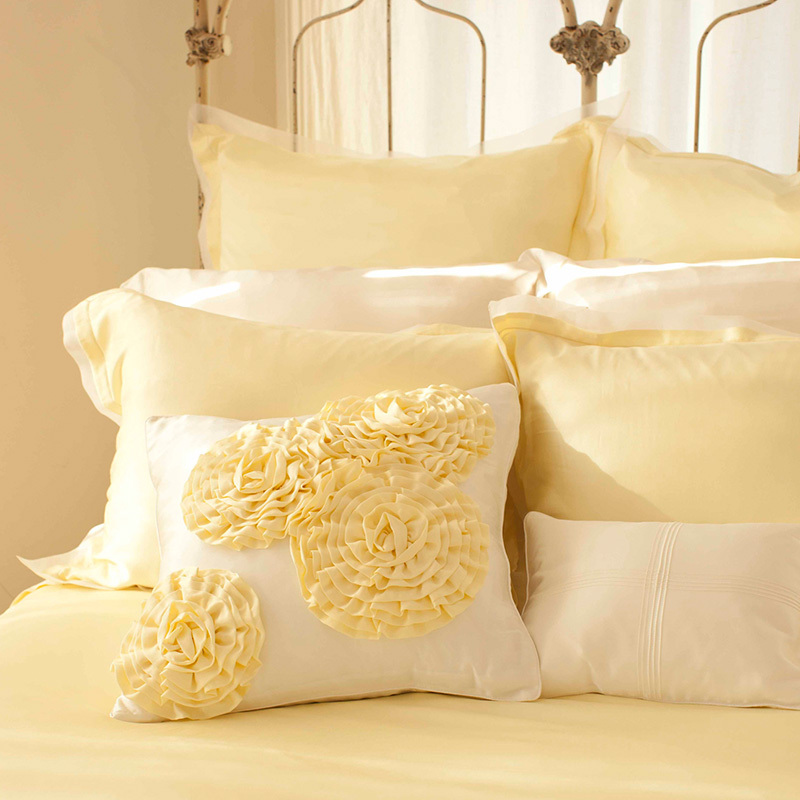 Discrete ties on the inside coordinate with our comforters.